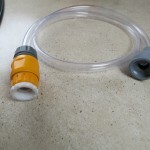 Home » Technical » Aqua roll adaptor pipe. I’m sure I’m not the only teen who is in charge of the water runs. I wonder if anyone else has encountered the issue with some of the water taps ? Some taps I find it very hard to get the nozzle on for the pipe to fill the Aqua roll. So here is my solution. Here is the pipe with both ends on each end. I have the tap adaptors installed here. 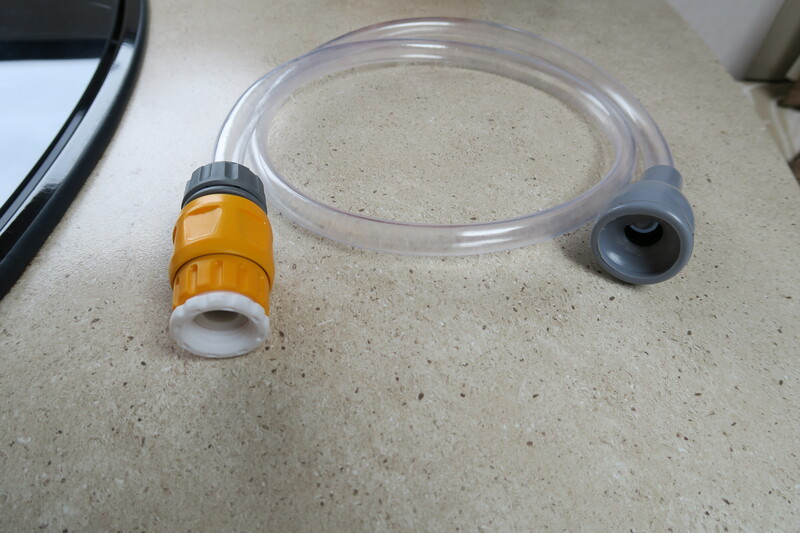 I have fitted a hose connection at one end and made sure I have tap adaptors with it too. This way I can screw onto any tap that has a thread. 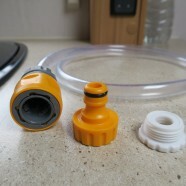 If the tap already has a hozelock type tap – my connector will just click on. And finally if the tap has a smooth end – I kept the rubber fitting on the other end of the pipe. This makes a perfect pipe for reducing any water waste and is completely interchangeable with any tap I may find. I will let you know how I get on as we go to lots of different sites this year.